Yesterday afternoon Governor Wolf signed two anti-discrimination executive orders. The orders expand protections against discrimination based on sexual orientation, gender expression or identity for commonwealth employees and employees of businesses who are contracted by the commonwealth. These executive orders come as the Pennsylvania Fairness Act, which would apply these protections to all Pennsylvania workers, remains stalled in the General Assembly. For a larger corporate and social media world, Wolf was channeling his inner William Penn, and advertising Pennsylvania as a welcoming state where tolerance for everyone is the order of the day. “Pennsylvania needs to go on record to proclaim that all people . . . are treated equally under the law,” [Governor Wolf] said. “This…is an effort to explicitly and decisively end discrimination based on sexual orientation, gender expression and identity in the executive branch in state government,” said Gov. Wolf. Repeating a call from his first days in office, Wolf asked the General Assembly to send him legislation that would add protections for lesbian, gay, bisexual and transgender people to existing bans on discrimination in employment, housing and public accommodation. “If we want a healthy economy, if we want a strong democracy, if we want a just society, we have to do this,” Wolf said. Pennsylvania Governor Tom Wolf signed two anti-discrimination executive orders related to the rights of transgender people on Thursday, contrasting recent high-profile laws in other states that been criticized for discriminating against the LGBT community. The governor of Pennsylvania signed two executive orders Thursday that expand discrimination protections related to employment, including for transgender people. “We need to make statement here in Pennsylvania that we are welcoming, we are open for business for everybody. This is the best I could do,” Wolf said. Gov. Tom Wolf signed the executive order Thursday. He says he can’t wait any longer for Republican lawmakers to move on legislation that would ban such discrimination in employment, housing and public services. Governor Wolf signed this executive order in Harrisburg with a smile. The order protects lesbian, gay, and transgender people who work for the state or for businesses that contract with the state. The governor stressed the importance of having a strong and inclusive workforce to boost Pennsylvania’s economy and noted business support for the anti-discrimination legislation. Wolf says Pennsylvania needs to be seen as a welcoming place, and he cited the backlash against what he called a “discriminatory” bill signed by North Carolina’s governor. 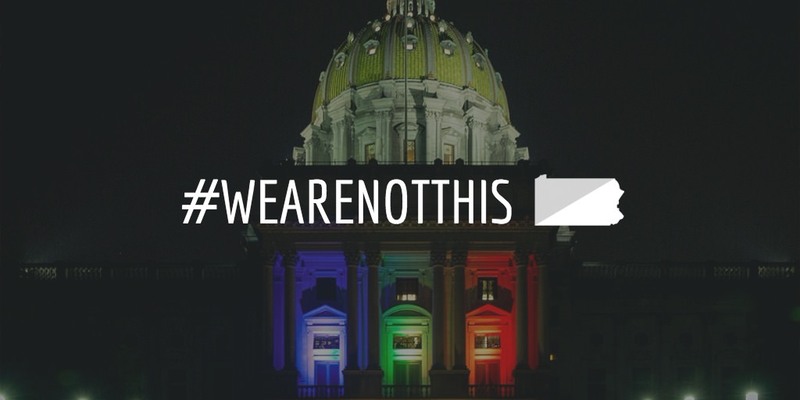 Read more posts about the fight to end LGBT discrimination in Pennsylvania.